ABBA AND THE WORLD WIDE WEB! The Official ABBA fan club (formerly ABBF) run by Anita and Helga in The Netherlands and Intermezzo run by Regina in Germany. These guys do a fantastic job and run a fan club covering all aspects of posting information. There is no “point scoring” or “look at our exclusive -we must be the best” type of thing - they simply just get on with it and put the information up for everyone to enjoy. Just as we do and simply the way it should be. After all if you are not doing it for the love of it -you shouldn’t be doing it. Intermezzo has by far the best fan club magazine around – you simply can’t fault it. We often get emails and post on our blogs with information and we will add it to the site for everyone to share. If I hear about something newsworthy it will be added to the site(s) - plain and simple! It may be on other sites as well, but that has nothing to do with the fact that a lot of people also look at our web site for information covering all things ABBA and solo. After all that what fan clubs are for! 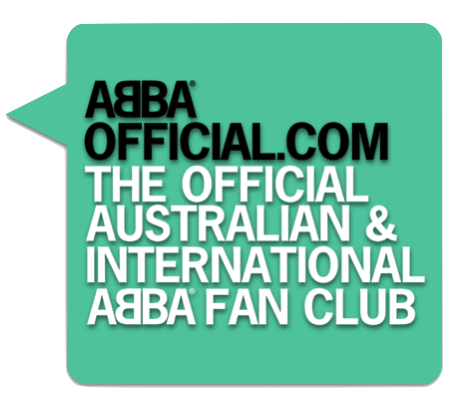 The new Official ABBA FAN CLUB (formerly ABBF) does it too. As do a lot of other sites. In a lucky chance meeting many years ago with Stig Anderson I got the privilege to sit with him for about 15 minutes and we talked about Polar and ABBA and of course this fan club. He told me he was well aware of the club and admired the way we had kept it going even after ABBA had stopped recording. He was pleased that we moved on and evolved and that we covered the group but more so that we treated them as individuals and promoted their work such as Chess and the girl’s solo careers. Stig may have sold Polar but he still had his finger on the ABBA pulse – make no mistake of that. It was an honour to have any recognition or praise from someone who I have always respected and never thought would even remember any fan club let alone this one. We have had many letters and messages from all four former ABBA members, even special recorded messages from Benny & Bjorn. Most recently we had a private letter from Frida last year. So we must be doing something right! I’m here to put out information about ABBA, we don’t as some sites do put our site name over pictures that aren’t even ours anyway just so no one can copy them or if they do you’ll see their site name on it. Please –how stupid is that, considering the pictures are not theirs anyway. I have put my own pictures that I have taken on various meetings with ABBA members and you can all copy them to your heart’s content. That’s what they are there for! The ones I don’t want copied simply don’t get put on the site. It is of course a different matter if you take pictures and you rely on selling them to make a living, then okay put your name on them, after all it’s your work. We have used these types of pictures on this very site before and are happy to have their name on them; it’s advertising what they do for a living. But I certainly world never put my name on any picture that I did not take. Nor do I claim to own any works that are interviews etc. If I know who did it then we will give them the credit but in the real world sometimes you just don’t know. We try to make sure - where we can, that it simply hasn’t been copied word for word from someone else site etc, but sometimes we have no way of knowing. Either we can’t find it on the sites we know of to check or if it’s not on the internet we have no way of checking. In the world we live in today, the World Wide Web (www or the internet as we know it) has changed the way we go about being an ABBA fan. In the good old days we never had the easy life we have now. You can access anything on ABBA within moments of them appearing anywhere in the world, loads of information and pictures at your fingertips. Sounds great doesn’t it…. Well it is, but most pictures on an ABBA web site are simply breaking good old fashioned copyright. None of us own the rights to these *pictures but we all have them on our sites – not just ABBA sites either this goes for the internet as a whole! A magazine article will be scanned and plastered on the internet for everyone to copy. It has become common practice and the major part of the whole copyright thing has become overlooked by most part as it’s so difficult to stop. It’s become if you like an accepted part of the internet. Adding a link on your site can help but really most sites will copy a picture to put on their site and copy the text for their version of the story /interview. Adding the link doesn’t change the fact you have copied someone else work - quoting from an interview or copying the whole thing. But again this is overlooked as an everyday internet practice. And in the end it’s impossible to stop. What annoys me the most is those who think they are above this and there is a rule for their actions and another for everyone else. We do not own “ABBA” and attempting to make any money out of them or a name for your self is in my books – wrong. There is not one single ABBA site I have yet to see that has not done one or all of the things mentioned here.. There is only one bit of information that matters-the truth, ABBA/solo news doesn’t come along every day and we will all report on it – so in effect we all report on the one thing. So long as the information is correct and you are using it to inform others and not put a feather in your cap then that’s what’s important.